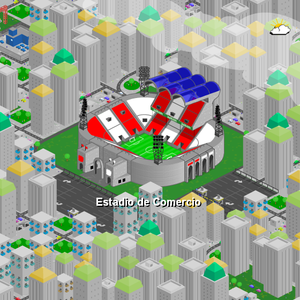 Atlético Comercio was founded on the 23th of February, 2004 as Commercie Utd FC. The name references to the ever increasing importance of economy in football, and therefore the necessary commercial activities of football clubs. 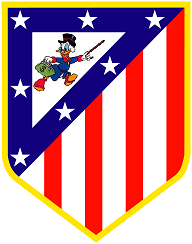 After one season the name was changed since the owner preferred the better sounding name Atlético Commercio. Another three seasons later the linguistic error was removed and the club was renamed to Atlético Comercio, the current name. In the first season the team played in a small stadium in Noord-Brabant with a capacity of 7,000. After that season the team relocated to Eindhoven where it build Estadio de Comercio. The initial capacity was 10,000. With the growth of the club the stadium size was increased several times, with a maximum capacity of 75,000. Nowadays it can host up to 68,400 visitors. This page was last edited on 23 May 2012, at 13:13.